Posted on November 27, 2016 at 8:01 pm. 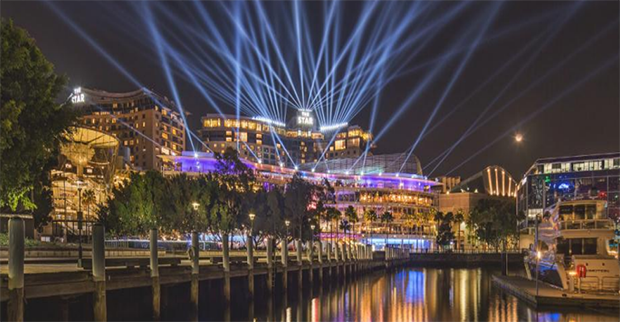 Initial reports The Star Casino has been under-reporting violent incidents to alleviate lockout laws has been unsupported by a recent study. Earlier this month, leaked documents revealed 67 per cent of 278 assaults at the Star since 2012 were not reported to police. This raised questions as to whether the Pyrmont venue, located outside the Sydney lockout zones, was deliberately concealing the assaults. But little evidence has been found to support this case, with NSW Bureau of Crime Statistics and Research (BOSCAR) releasing a study, which examined before and after the lockout laws were implemented. “There is no evidence that staff at The Star casino have become less willing to report assaults to police since the lockout law reforms in February 2014,” the report states. The study saw BOSCAR re-examining all 278 non-domestic assaults which occurred between January 2012 and June 2016 and found 56.6 per cent of assaults were reported 24 months prior to the lockout laws, and in fact 60 percent of assaults were reported 24 months after the laws were implemented. BOCSAR director, Don Weatherburn, said the increase in reports means there’s no cause for concern. “No one expects every minor bump and scuffle to end up in a police assault report but we would have been concerned if the proportion of assault incidents reported to police by staff at The Star had declined,” Dr Weatherburn said. “It may well be that there are serious assaults at the Star that are not being reported — we didn’t look at that,” Mr Weatherburn said. This was what some initial reports claimed, after the leaked documents prepared by the NSW Liquor and Gaming regulator found 75 of the 111 violent incidents between March and June 2016 “did not result in police attendance despite the severity of the incident involved or the injuries caused to the parties”. Regardless, the Star denied it was under-reporting and released a statement yesterday saying the issue has now been put to bed. “We are pleased our position has now been validated by the BOCSAR report,” the statement read. Avoid the drama of land based casinos and play for real money at an online casino instead. There are some great online casinos available to players from United States. We highly recommend Bovada Casino as the safest and best online casino providing support for players from United States.